This challenge consisted re-designing the Cre and A2A Mouse Genotyping by PCR protocol for a well established lab located at the Centre de Recherche du Centre Hospitalier de l’Université de Montréal (CR-CHUM). The researcher contacted us due to our recent successes (Story #3, Story #4, Story #5) performed for the same research center. They were using KAPA 2G Taq DNA Polymerase from ”KAPA” for Adora2atm1Masc allele mouse genotyping – Cre and A2A Mouse Genotyping. Their previous protocol was suffered from a poorly designed PCR setup and PCR cycling protocol available from Jackson Laboratories. We also used DNA primers for amplifying Cre recombinase – the same as in Story #1). Cost was no issue, but performance was critical. 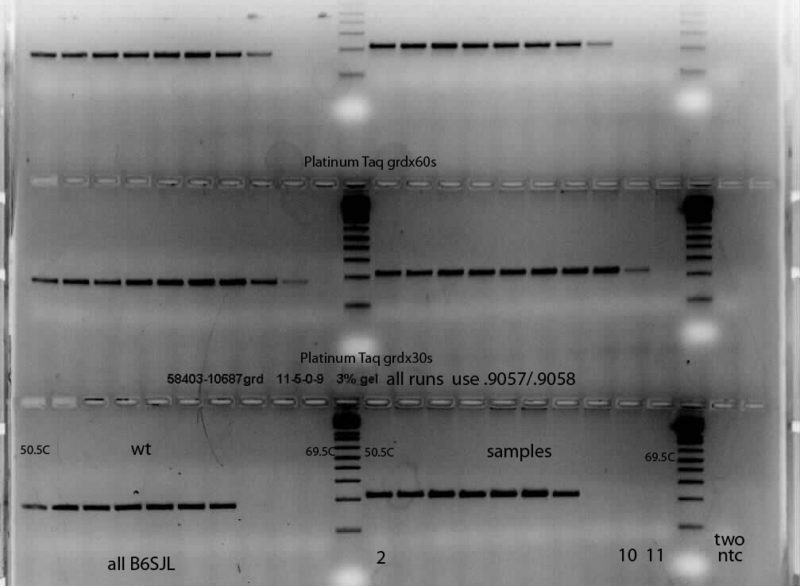 The researcher provided us with PCR primers (#9057 and #9058) and many gDNA samples. 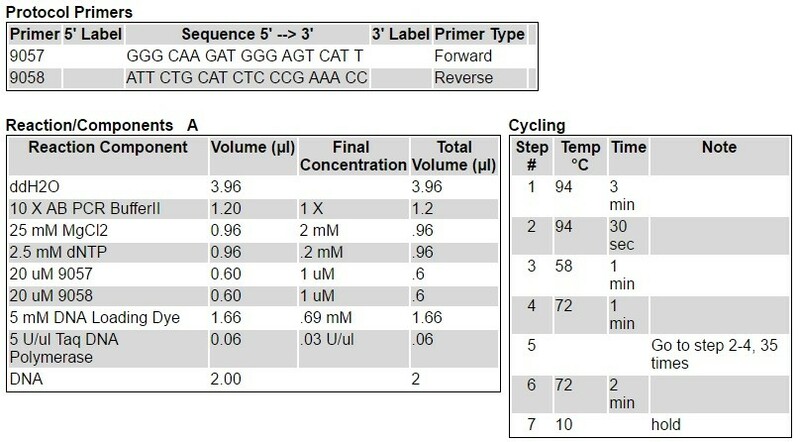 Please find bellow what we have accomplished using TransBionovo’s EasyTaq DNA polymerase (Magic Taq remember?). What does your Taq supplier do for you?! ? Again, we didn’t like their protocol so we did not even give it a try… Don’t try this at home please! 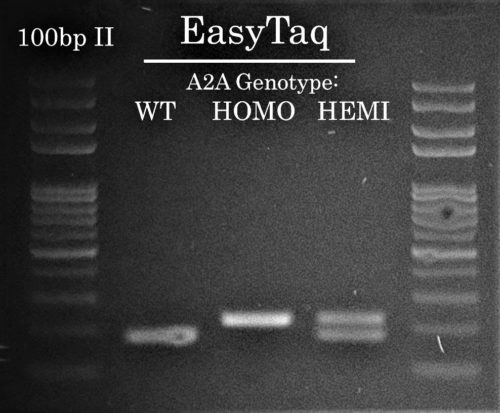 Using a much shorter PCR cycling protocol than suggested by Jackson labs for A2A Mouse Genotyping, EasyTaq easily amplified either the mutant or transgene Adora2atm1Masc bands.